I wanted to convert the Adventist literature evangelist, but she ended up converting me. With a population of 51 million and a land area of 38,000 square miles (100,000 square kilometers), South Korea has one of the highest population densities in the world at 1,300 people per sq. mile (500 people per sq. km.). Compare this to the United States, which has a population density of 86 people per sq. mile (33 per sq. km.). In Korea, when you are born, you are considered to be one year old already. Sahmyook University was founded in 1906 as a small school called Euimyung College by American Adventist missionaries to improve the education of church workers in Korea. It had to close twice, once during Japanese rule of Korea and again during the Korean War. Today it has 5,787 students, 86 percent of whom are non-Adventist. To Sabbath School teachers: This story is for Sabbath, July 21. My interest in the Seventh-day Adventist Church started long before an Adventist literature evangelist knocked on my door in South Korea. As a pastor with a major Protestant denomination, I sought to understand religious viewpoints other than my own, and I compared literature from the Presbyterian, Methodist, and Adventist churches. I noticed that all the Adventists books seemed to have been written by Ellen White. I wondered why so much attention was given to a woman who had died long ago. As I sought answers, I engaged in a fight against religious cults. Most Christians in South Korea categorize three groups as cults: Jehovah’s Witnesses, the Seventh-day Adventist Church, and a South Korean group called New Heaven and New Earth. I knew a young man who had joined New Heaven and New Earth and couldn’t be persuaded to leave, so I went to their headquarters and gave them a Bible lecture. Then I tried to convert a group of Jehovah’s Witnesses. After that, I decided to learn more about the Adventists so I could refute their teachings. Afterward, I wanted to visit Ms. Kim’s church to see if Adventists really are a cult as my denomination teaches. I went secretly for a while, but somehow my wife found a church bulletin among my possessions, and a conflict erupted between us. I was pondering how to attend church without angering my wife when Ms. Kim invited me to health seminars at her church. I thought the seminars might interest my wife, so I suggested that Ms. Kim speak with her. I knew that my wife would never agree to go to a sermon, but a low-key seminar seemed like a good way to introduce her to the Adventist Church. I wanted my wife to see that Adventists are friendly and always say, “Hello.” I wanted her to observe the fellowship meals. In my denomination, the pastors always sit at the head table and are served at lunch. But the Adventist pastors carry their own plates and have to look around for a place to sit. After the meetings, the evangelist recommended that I consider baptism. But my wife urged me to wait. She reminded me that I was not only a pastor but also a senior church leader. I heeded my wife’s advice to serve out my term as president of my denomination’s local union and then get baptized. My wife, however, was looking at the calendar. “Feb. 4 looks like a good date to get baptized,” she said. I couldn’t believe my ears! My wife had dissuaded me from being baptized just a week earlier and now she wanted to be baptized! My life has been filled with joy after our baptism in February 2017. I look forward to hearing the sermon every Sabbath. 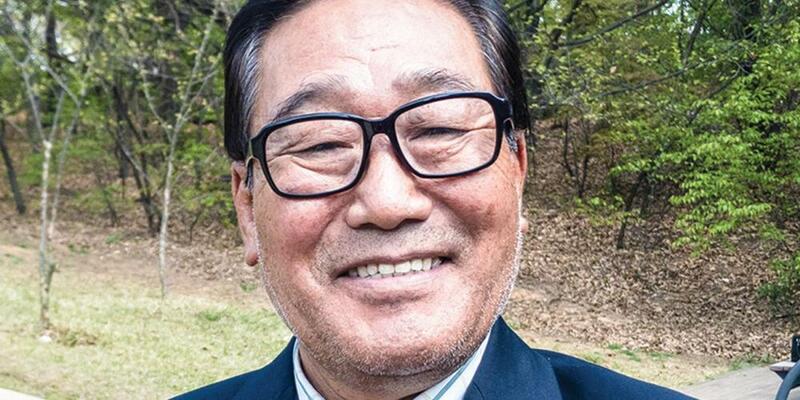 Ki-Jo Moon [pronounced: kee-jo moon], 71, served as a pastor with a Sunday-keeping denomination for 37 years. We’ll read his wife’s side of the story next week.